Cooking asparagus on the grill really helps to bring out its natural flavor. Be careful not to overcook it, though, asparagus should have a little crunch. Preheat grill. In a shallow baking dish, toss asparagus with the olive oil and some salt and pepper. Remove from dish and place on grill. Dip the cut side of the tomatoes in remaining olive oil. Let the asparagus grill for 2 to 3 minutes then add the tomatoes, cut-side down. Grill until tender. In a small bowl combine balsamic vinegar, garlic, mustard, and remaining olive oil from the baking dish. Blend well. 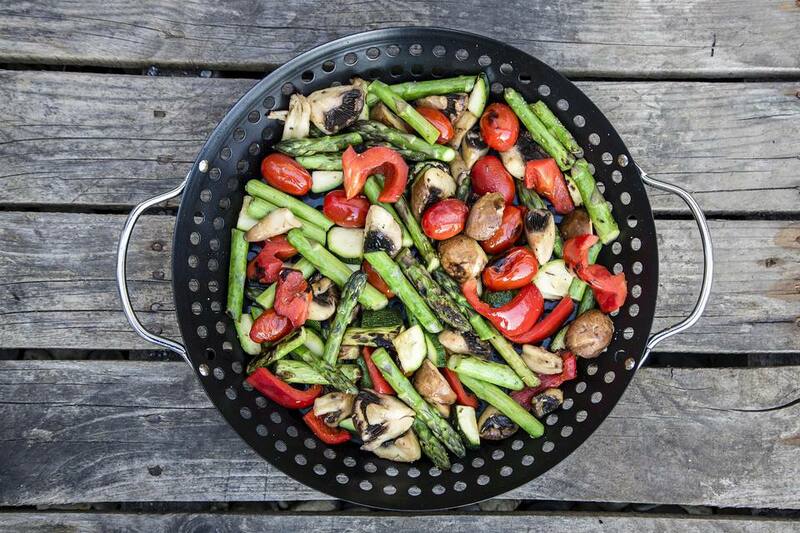 Drizzle over grilled vegetables and serve.